Ingrid Classic Cane and Crutch Tip Small has a convex bottom that enhances both walking comfort and durability. Tip does not wear as quickly as a conventional tip. The Ingrid Classic Cane/Crutch Tip features a convex bottom which enhances both walking comfort and durability. 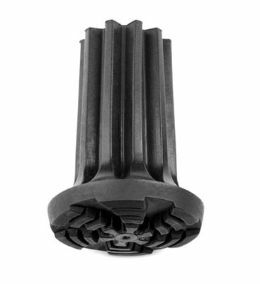 The tip is manufactured in Sweden and made of high quality polyurethane. The use of this material makes them extremely durable and provides for an excellent grip both indoors and outdoors. This cane tip has a patented elastic neck which adjusts to the dimension of the cane or crutch shaft, making it easy for the user to replace tips as needed. 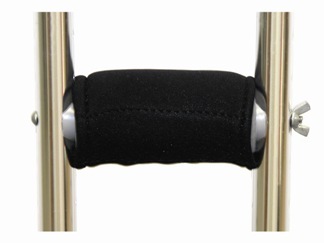 Fits: Canes and crutches with common dimensions of 1/2 - 11/16 inch diameter (13 - 17mm). Packaging: One tip per package. Q: What is the diameter of the cane tip. Looking for less than 13mm? Thank you! A: Fits: Canes and crutches with common dimensions of 1/2 - 11/16 inch diameter (13 - 17mm).